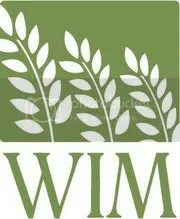 We joined with WIM (World Indigenous Missions) in January 2012. Check out their website HERE. Since its ori­gin among the indige­nous peo­ples of Mexico in 1981, World Indigenous Missions has sent ordi­nary peo­ple around the world for one pur­pose: to dis­ci­ple the nations to reach the world. “Indigenous” is a big word with a sim­ple def­i­n­i­tion. It means home­grown or exist­ing nat­u­rally in its own area. When it comes to cross-cultural min­istry, we believe this means equip­ping local work­ers to influ­ence their own peo­ple with God’s love and truth.